Dr. Mike opened LaBounty Family Chiropractic after finishing at Palmer in 2006. Our doors were immediately open for patients, and we’ve been working to restore the health and wellness of our community ever since. 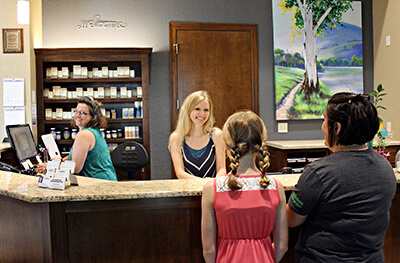 At LaBounty Family Chiropractic, our goal is to spread healing, joy and peace to every single individual that we come into contact with, each time we see them! When it comes to chiropractic care, we aim to provide the most specific and effective Gonstead adjustments necessary to get our patients well in the shortest period of time. Our office is on the cutting edge of Gonstead chiropractic, learning and teaching Gonstead from and to other doctors of chiropractic. Ready to feel better, naturally? Contact our practice today to get started. Our practice is open early and late for your convenience. We can’t wait to meet you and your family.